Call of Duty Free: The Skins 6.0 Test Game! Posted on June 14, 2018 at 12:45 pm. Skins 6.0 – He Au Hou 2 is almost here! Our Skins Video Game Workshop is returning to Hawaiʻi through our continued collaboration with Kanaeokana and Kamehameha Schools. Anticipation and excitement abound! One way we prepare for the workshop is through the creation of a test game. This allows our team of technical instructors to acclimatize to one another and develop a group bond and to provide participants with a working Unity template to use as a learning tool. 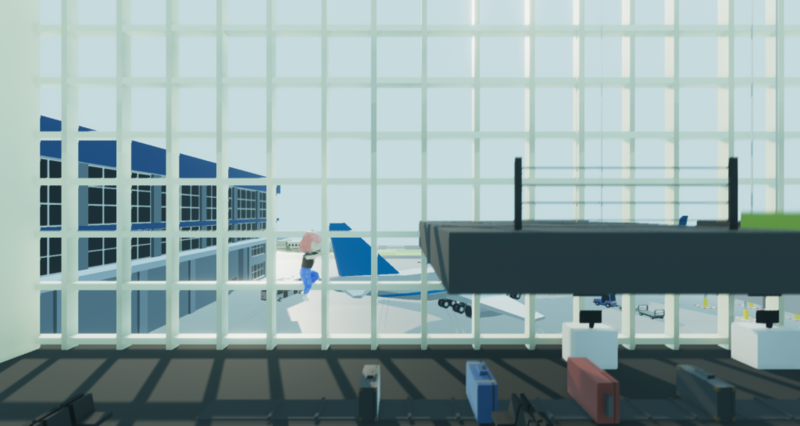 This year, our four Technical Instructors–Undergraduate Research Assistants Sam Bourgault, Ray Caplin, Victor Ivanov and Kahentawaks Tiewishaw–created a charming, foxy test game about an IIF RA’s journey to catch their plane, entitled “Call of Duty Free”! Below you will find the RAs describing their role in developing the test game. The test game was, as the name suggests, a way for us to get acquainted with both one another and the tools we’d use during the workshop. My fellow Instructors and I had two weeks, part-time, to make it. From concept to production, I’d say we did a great job, given the time frame! 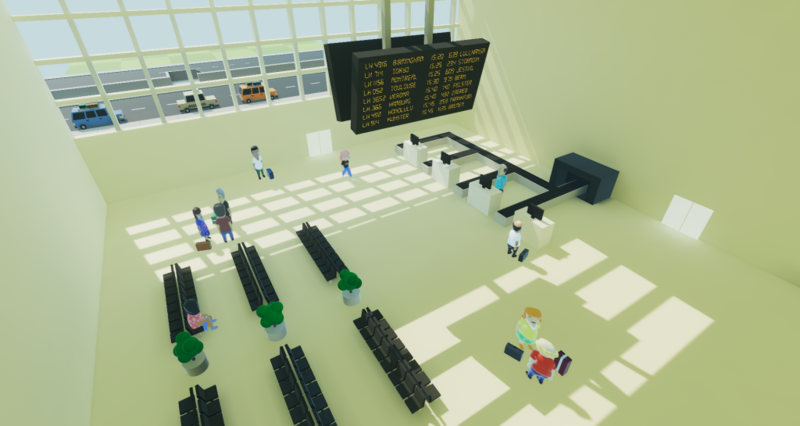 The game is about a Research Assistant rushing to catch their plane at the airport. 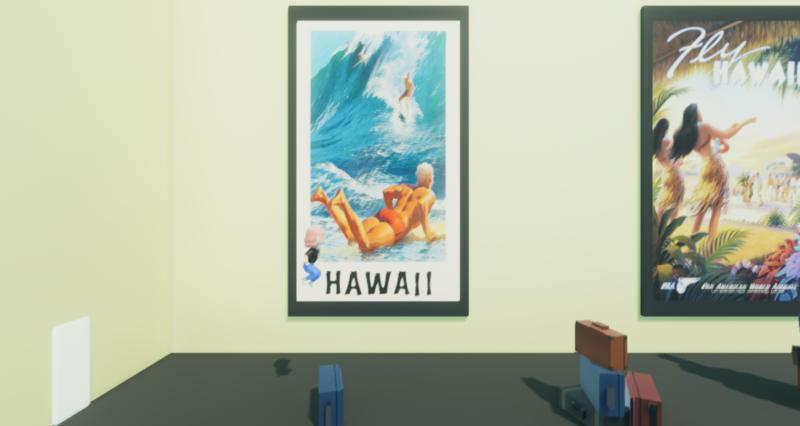 It’s obvious that this game externalized some of our anxieties, and we’ll hopefully master the suitcase-jumping techniques by July, just in (suit)case. I designed elements of the levels such as progression, narrative and scenes, along with the sidescroller mechanics. I conceptualized and designed the environments, composition and lighting, and produced some of the accompanying audio. I helped out with some of the programming by making the User Interface, tweaking movement mechanics, and creating level objects, like conveyor belts, suitcases—all the dynamic elements of each level. What was cool about this game was that it uses two very different playstyles: point-and-click and side-scroller. We wanted to see which style we use in the workshop, and ended up with a sort of experimental game that taught us a lot about each playstyle’s strengths and weaknesses. Combining different forms of gameplay has inspired me in my own work to apply a variety of gameplay styles, in one single game, for narrative purposes. 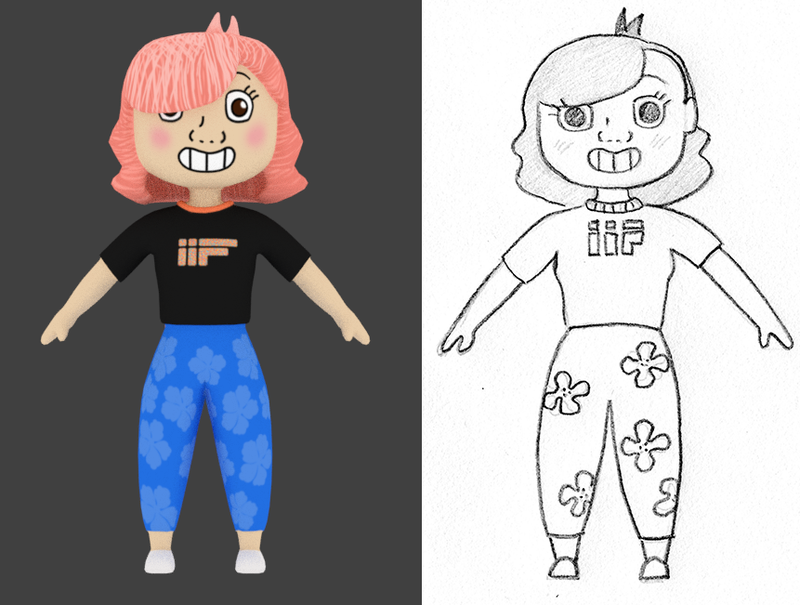 I contributed to the design and 3D modelling of the main player character, as well as the non-player characters to the test game. I had never before created anything that was going to be implemented in a game, so for me this was really an opportunity to bring a few characters to life. I contributed all the short 2D cinematics found between each level in the game. 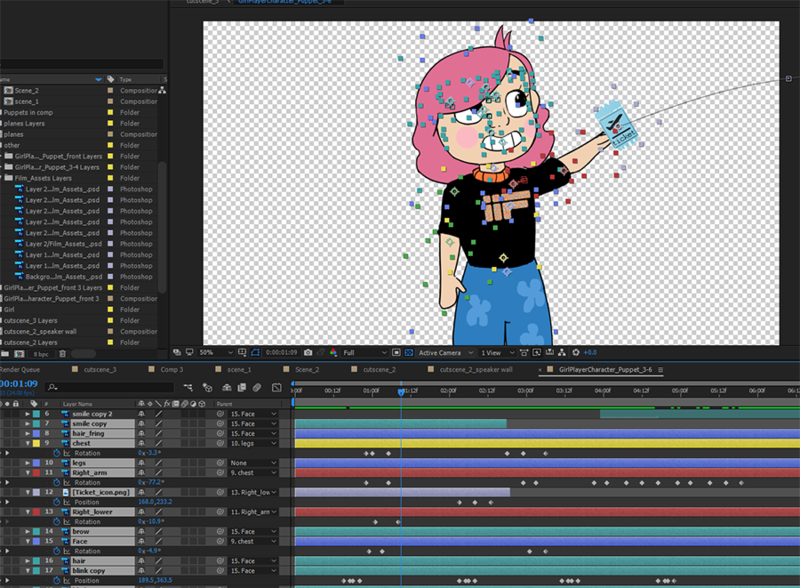 All of the animations were created in After Effects, using its basic puppet animation tools, which I feel added some charm to the game, and provided lively transitions between levels. Aside from this, I designed several characters, such as the Clerk, and illustrated the User Interface icons found in the the mini games. I focused on creating the game managers—systems that coordinate the inner workings of the game—so that the scenes would follow each other in a smooth, persistent way. I also developed the code that controls player behaviors in both the side-scroller and the point-and-click mechanics. The most complex part was synchronizing the specific animations with the player’s corresponding motion state. 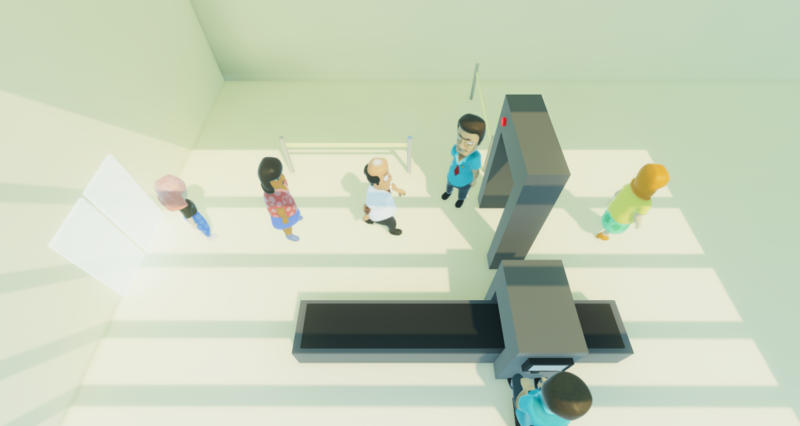 I did some basic modelling in Unity for the point-and-click scenes, and programmed the behavior of the line when the player reached the security. Lastly, I helped with composition and level design. We worked very well together, which allowed us to make the game in two weeks, part time. We agreed on a similar aesthetic and we trusted each other during the whole process! This is really promising for Hawaiʻi! Finally, we invite you to watch through the playtest video at the top of the page. You can download “Call of Duty Free” for Mac and Windows!